Download Door Hanger Mockup Free PSD. Do you want a mockup to show your door hanger design to your client in photorealistic way? and you don’t have time to create mockup then this Door Hanger Mockup PSD is perfect choice for you. We have create this free and premium door hanger mockup template just for you. This Door Hanger Mockup Free PSD will help you to showcase your design in professional and creative manner. All Layers are editable and customizable; you can easily change anything in this Door Hanger Mockup PSD according to your need. 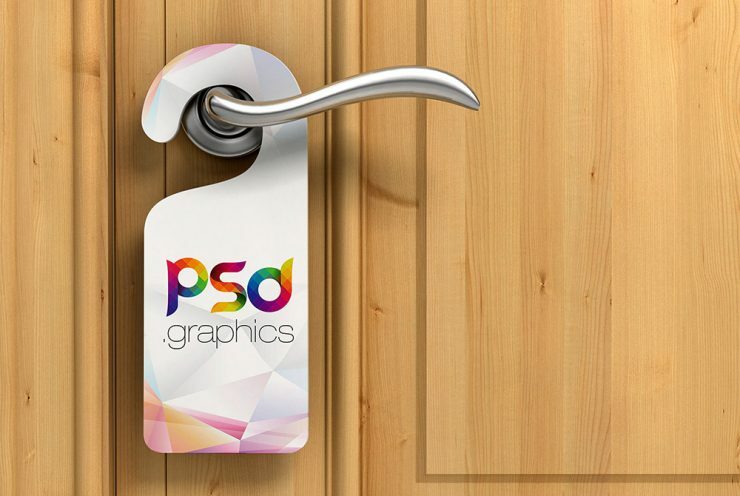 Door Hanger Mockup Free PSD allows you to replace your branding or logo designs easily with the help of Smart Objects. Use this Door Hanger Mockup Free PSD to show off your latest design in style. Hope you like it. Enjoy!